Does it really need it? The Nintendo Switch won’t have a web browser when it’s released on March 3. 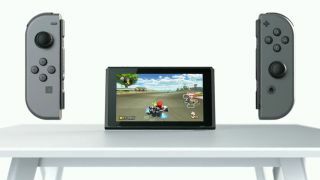 Considering that the Wii U did have a browser, and that Nintendo put quite a lot of effort into seamlessly integrating into the system, it’s perhaps surprising that the Switch won’t launch with one. Nintendo hasn’t said the console will never have one, though, so it’s possible that we could see one at a later point in the Switch’s life cycle. That said, you have to ask whether the Switch really needs a web browser. A browser takes up a lot of system memory, so not having one ensures that the console will be working solely on gaming, something that’ll be particularly important when it’s in tablet mode with regards to impact on performance and battery life. We tend to turn to our phones to look things up online when we’re gaming, as it doesn’t pull us away from the moment – and considering the quality of the browsers available on phones right now it’d be difficult for Nintendo to compete. While the Wii U had a browser that worked well, Satoru Iwata admitted that with the 3DS and the Wii U limited memory constraints made creating it a challenge. Iwata stated that as Nintendo was first and foremost about gaming “there would be no point if console functionality dropped just for a browser that shoehorned in during the middle of a game”. Considering this was the company’s view previously, it’s highly likely that at the moment Nintendo just hasn’t been able to create a browser that works seamlessly across the console’s handheld and home states, so to include it at launch would be pointless. Building a substandard browser does admittedly seem like a waste of time and resources for the company, particularly when most third-party services that could come to the console over time are likely to do so in app form, which falls in line with Nintendo’s decision to push its own online multiplayer features to a dedicated mobile app. While we won’t see these features at the console’s launch there’s still a chance we’ll see them added in the future, when Nintendo has managed to find a way to achieve consistent performance across its console’s home and hybrid states, if that is indeed a barrier to its inclusion.